The Avengers: Endgame trailer and poster are here which features new footage from the movie including Brie Larson and Captain Marvel. The bit of footage actually is from a clip released recently at a Disney investor meeting, which features more footage (description here). Hats off to the Russo brothers as this trailer doesn't reveal too much footage from The Avengers: Endgame and leaves a lot guessing, though it does offer a look at the new costumes that have been gracing all the various artwork. The video description teases, "Whatever it takes." 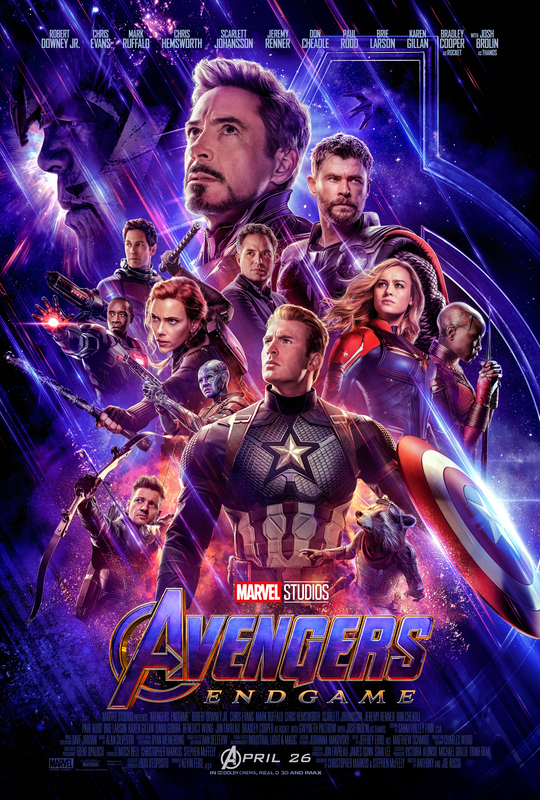 The poster features the surviving characters including Captain America, Iron Man, Rocket Raccoon, Hawkeye, Nebula, War Machine, Black Widow, Okoye, Ant-Man, Banner (Hulk), Thor, of course, Thanos and then there is the newcomer Captain Marvel.